Laurie, thanks very much for visiting my page. Michelle, thanks very much for visiting my page. 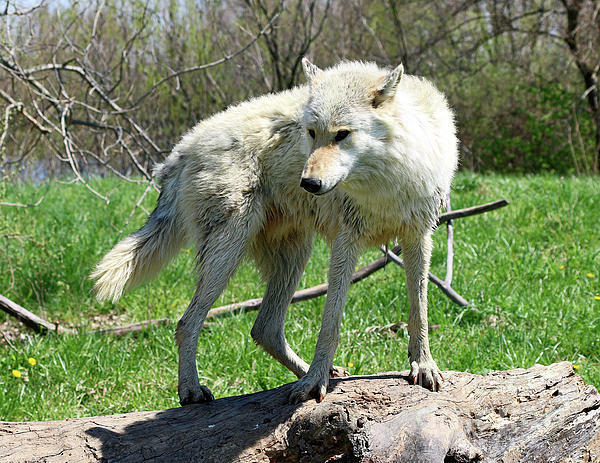 A majestic male wolf, still in winter coat, surveys his surroundings at Wolf Park in Battle Ground, Indiana. 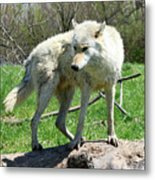 Wolf Park is a nonprofit education and research facility dedicated to the conservation of wolves, which was established in 1972 by Dr. Erich Klinghammer. Along with research and seminars on wolf behavior, Wolf Park provides interpretive programs to groups throughout the year by prearrangement. 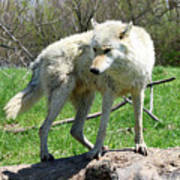 Wolf Park sits on 78 acres and is just 15 minutes from Lafayette/West Lafayette.